Cammie Morgan has lost her father and her memory, but in the heart-pounding conclusion to the best-selling Gallagher Girls series, she finds her greatest mission yet. Cammie and her friends finally know why the terrorist organization called the Circle of Cavan has been hunting her. 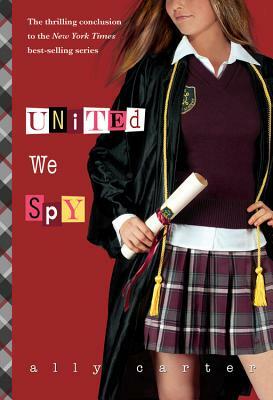 Now the spy girls and Zach must track down the Circle's elite members to stop them before they implement a master plan that will change Cammie-and her country-forever. Get ready for the Gallagher Girls' most astounding adventure yet as Ally Carter's New York Times best-selling series comes to breathtaking conclusion that will have readers racing to the last page. Ally Carter is the New York Times best-selling author of the five previous books in the Gallagher Girls series: I'd Tell You I Love You, But Then I'd Have to Kill You; Cross My Heart and Hope to Spy; Don't Judge a Girl by Her Cover; Only the Good Spy Young; and Out of Sight, Out of Time, as well as the Heist Society series: Heist Society; Uncommon Criminals; and Perfect Scoundrels. Ally lives in Oklahoma, where she is hard at work on her next novel. Visit her at www.allycarter.com.